Mumbai is a truly spectacular city that more than lives up to its unofficial handle as the “City of Dreams”. Here’s a wonderful urban center where the savvy shopper can pick up just about anything on Earth, not to mention a treasure trove of items exclusive to this part of the world. Cosmopolitan and vibrant, Mumbai is a thriving city of luxurious shopping and the highest retail standards most will ever come across. And what’s more, the city is also blessed with some of the most reliable and affordable public transport services in India, adding up to a unique shopping experience that’s not to be missed. This really is the very dictionary definition of a place where you can buy anything at any time. It’s a bit like a day-long shopping festival that never dies down and presents a golden opportunity for those looking to take home something authentic. It’s of course somewhat crowded by the usual touts and junk sellers, but it’s worth fighting past them for the real treasures on offer. Crawford Market is the kind of place that’s guaranteed to divide the critics as some would argue that pets and animals really shouldn’t be sold at such markets. However, this is the way things have been done here for generations and it’s not the place of outsiders to question it, so instead why not lap up the unique atmosphere and indulge in the incredible fruits and vegetable that are bursting with color at every turn! Chor Bazaar is really the quintessential bazar that brings to life every stereotype and cliché you’ve ever heard of, and then takes it all to a whole new level making it one of the best shopping places in Mumbai! The Chor Bazar is loud, busy and quite chaotic, though is every day packed with all manner of weird and wonderful local goodies you won’t find on sale anywhere else. A must for second-hand bargain hunters looking for a unique find to take home. The name itself should give away what this place is all about – Fashion Street is the place to head for clothing. What’s on offer various from the pure junk to the outrageously luxurious, but in all cases there are so many bargains to be found. There are over 150 stalls to explore, so make sure you leave enough time to one side to make the most of your trip to Fashion Street – a true Mumbai shopping icon. 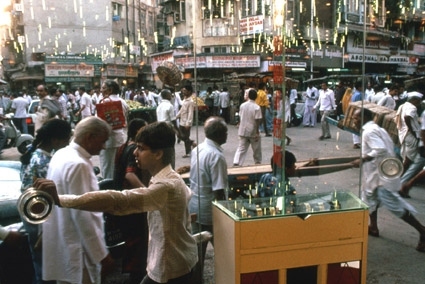 When it comes to shopping places in Mumbai, Zaveri Bazaar is a place one should not miss. If you think you’ve seen organized chaos in its purest form, just wait until you lay eyes on Zaveri Bazaar! It’s the kind of spectacle that will stay with you for life, but beyond the madness of what’s going on around you there’s real treasure to be found and plenty of it. The order of the day here is the finest gold, silver and other precious metals in Indian with up to 60% off the prices you’d expect to pay for them back home. With a history of over 200 years, Mangaldas is a paradise for silk and fabric lovers. The market is filled with over 600 shops along its central gully and nine lanes that intersects one another. You're sure to be welcomed with extreme enthusiasm with all the merchants, either perching on a gaddi or sitting on aloft cushioned platform, presenting all the fantastic fabric such as the shimmering saris, salwar kameez suits and colorful churidars (tight-fitting trousers) before you. The only thing you need to worry about is whether your suitcase is big enough to hold all these excellent and captivating silk and fabrics. 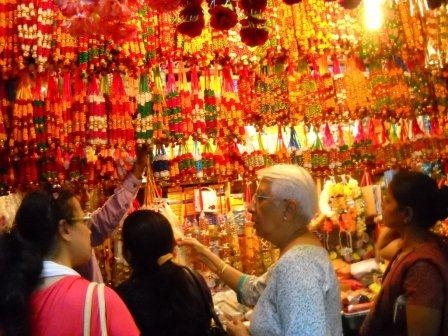 Closed on Sundays, bargains abound at Bhuleshwar Market and it is the place you’ll find the locals going as well as the tourists with their eyes set on a bargain. Famed for selling stunning female accessories for next to nothing, Bhuleshwar Market is also a mecca for picking up gorgeous glassware and ornaments. It does have a habit of getting very busy, but is more than worth a visit for the amazing aromas and the music that fills the air all day long. 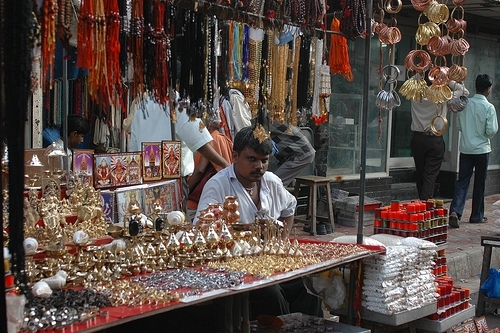 Therefore, Bhuleshwar Market is no doubt one of best shopping places in Mumbai where you can get more than shopping. They say that no trip to Mumbai is complete without first taking in the sights, the sounds and the smells of Kalbadevi Market – a mecca for bargain-hunters. Here’s a place that gets so busy at peak time which actually ends up bringing the roads outside to a complete halt – the shopper here always have the right of way! For soft furnishings, clothing and accessories, you’ll be in the best hands. Linking Road has a pretty apt name all in all as here’s where you’ll find a unique blend of Eastern and Western influences all in one place. On one side of the road it’s a tale of market stalls and street vendors selling anything and everything you can think of, while on the other you’ll find a string of big-name international chain stores and even a KFC! If possible, you should ask for a receipt with everything you buy, though of course in many cases this just isn’t a realistic option. Don’t be afraid to haggle as the first price you are quoted for anything is never the lowest price you can get it for. There’s no harm in asking for a better deal, so do it. If you plan to buy plenty of things, try to stick to a couple of shops you know you can trust as the more loyalty you show, the better the discounts you’ll be offered as a result!